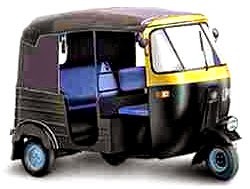 Thrissur, 4 November 2014: The Kerala Motor Vehicles Department has announced the revised autorickshaw fares. According to the new fare chart, the minimum charge for travelling a distance of 1.5 kms is Rs. 20. Fare after the minimum travelling distance is Rs. 1 per 100 metre. Additional fare of 50% of meter charge for travel between 10 pm to 5 am. Fare between 5 am to 10 pm - Meter charge plus 50% of the amount after substracting Rs. 20 from the Meter charge. However this is not applicable in Thrissur, Trivandrum, Kollam, Kochi, Kozhikode corporations and Kannur Palakkad and Kottayam towns. In these places only the meter charge will be applicable. For two way journeys fare will be equal to the meter charge. Waiting charge - 10 rupees per 15 minutes and a maximum of Rs. 250 per day. Distance in Kms / Fare in Rs.